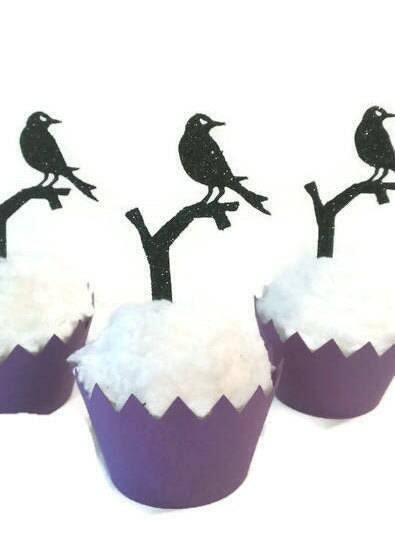 Impress your guests at your Halloween party with these scary crow cupcake/food toppers.! 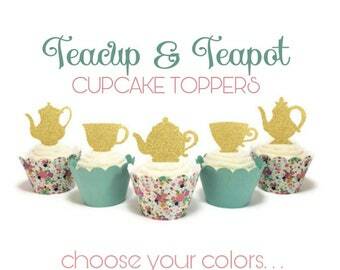 Choose a set of 8 or 12 toppers. Made with thick glitter cardstock and a wooden pick. Black glitter on one side and white on the other. 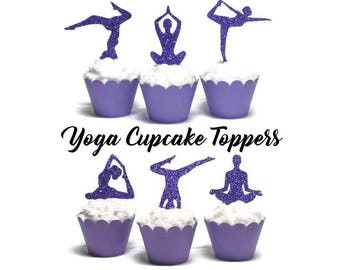 If you would like them in a different color, please leave me a note at checkout in the "NOTE TO SELLER" box. Crows/tree limbs are 2 inches wide and 2.75 inches tall without pick. very cute! looked great with my desserts! 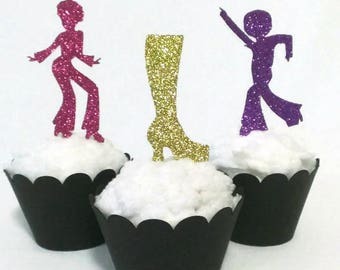 Very cute for cake toppers. These were a fun addition to a work celebration.